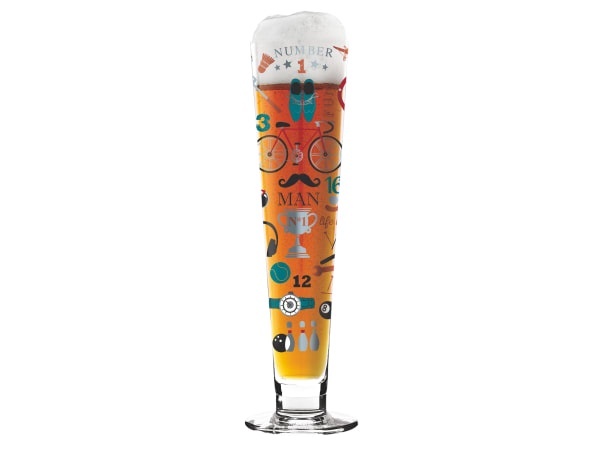 Designer crystal beer glass with heavy metal components designed by Kathrin Stockebrand 2016. Forms part of the Black Label collection. 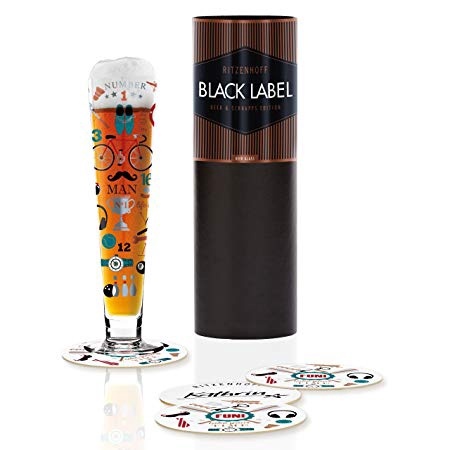 Packaged in a gift box which includes five designed beer mats with the signature of the designer as well as a Leporello, in which all glasses can be seen. Dimensions: 6.5 x 25 cm.